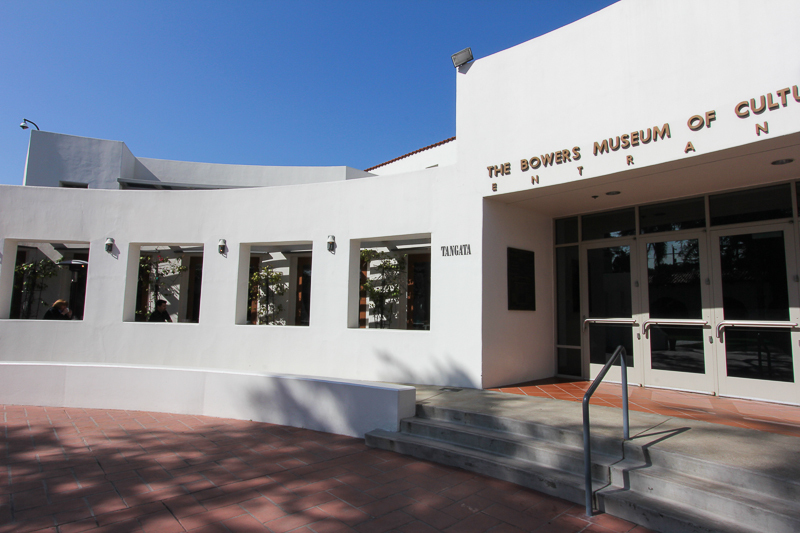 February 14, 2013 - Today's Valentine's Day adventure included a lunch, a museum exhibit and a film corresponding to the exhibit. 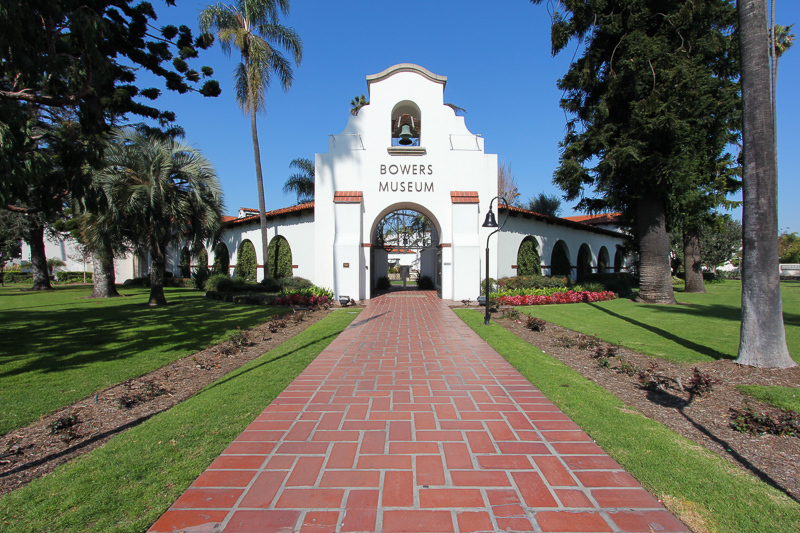 It all took place at the Bowers Museum in Santa Ana and their new exhibit is Lucy's Legacy: The Hidden Treasure of Ethiopia. 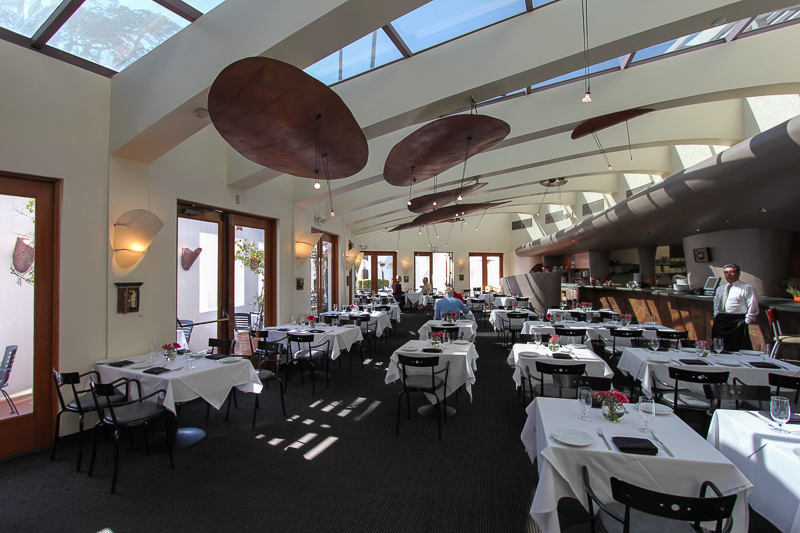 The first stop was lunch at the Bower's Tangata restaurant. Judy had braised beef short ribs with caramelized onions and rigatoni. I had the spaghetti with mussels and clams. As usual, the meal at Tangata is always superb! Now it was time to see Lucy. 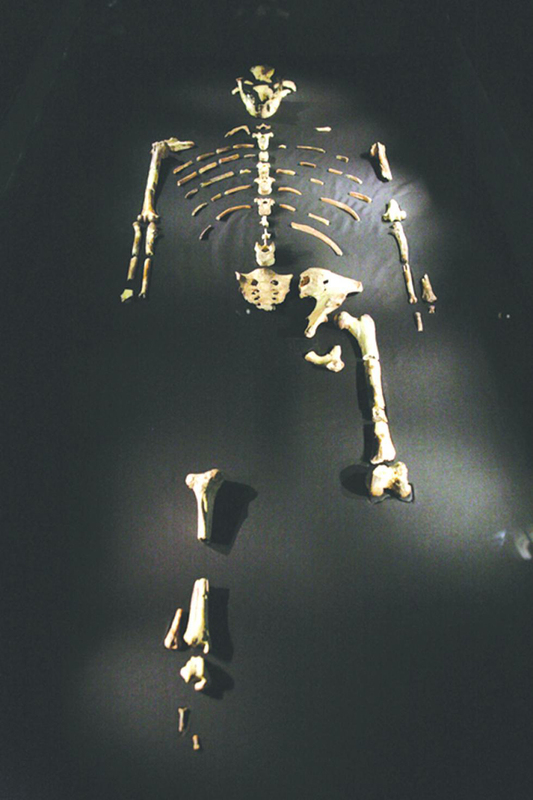 Lucy is the common name of AL 288-1 and her fossilized remains were discovered in 1974. Lucy is estimated to have lived 3.2 million years ago, and is either directly ancestral to humans, or evolutionarily close to our ancestor, hence she is classified as a hominin. The skeleton shows evidence of a small skull capacity akin to that of apes and of a bipedal upright walk akin to that of humans, supporting the debated view that bipedalism preceded increase in brain size in human evolution. 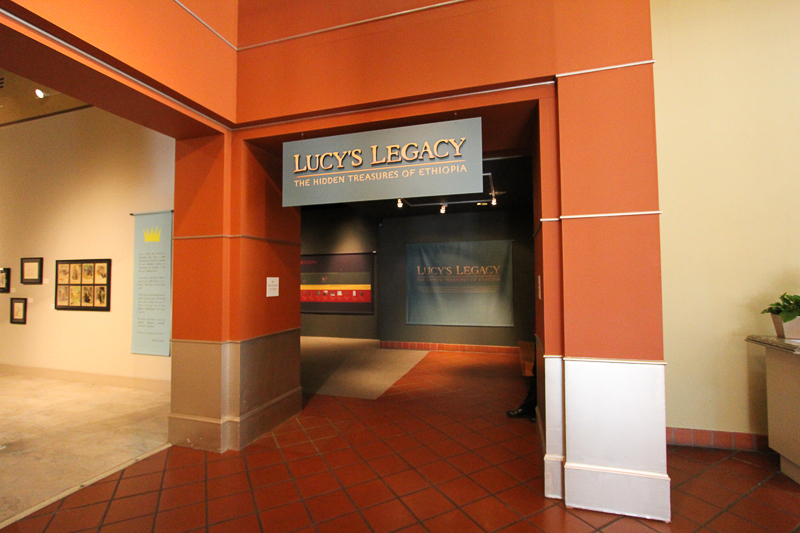 The Lucy exhibited here is a cast of the actual Lucy. 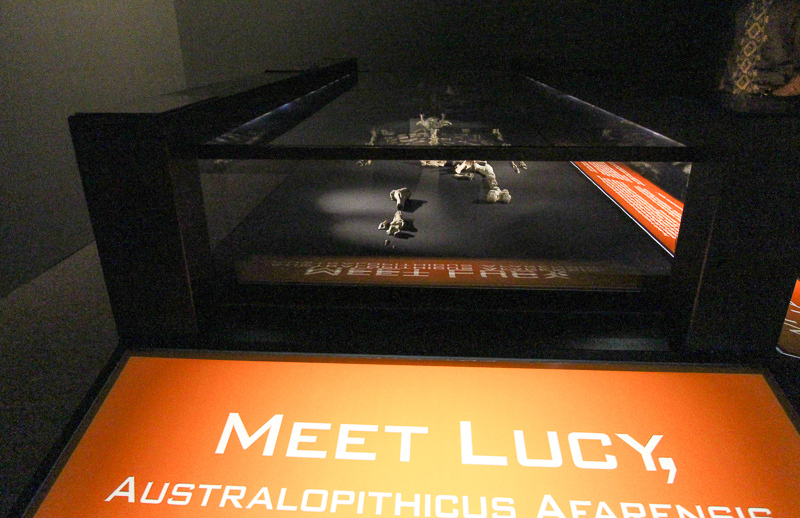 The “real” Lucy is stored in a specially constructed safe in the Paleoanthropology Laboratories of the National Museum of Ethiopia in Addis Ababa, Ethiopia. Late in the night of November 24, 1974 there was much celebration and excitement over the discovery of what looked like a fairly complete hominid skeleton. There was drinking, dancing, and singing; the Beatles’ song “Lucy in the Sky With Diamonds” was playing over and over. At some point during that night, no one remembers when or by whom, the skeleton was given the name “Lucy.” The name has stuck. When alive, Lucy is believed to have looked like this. 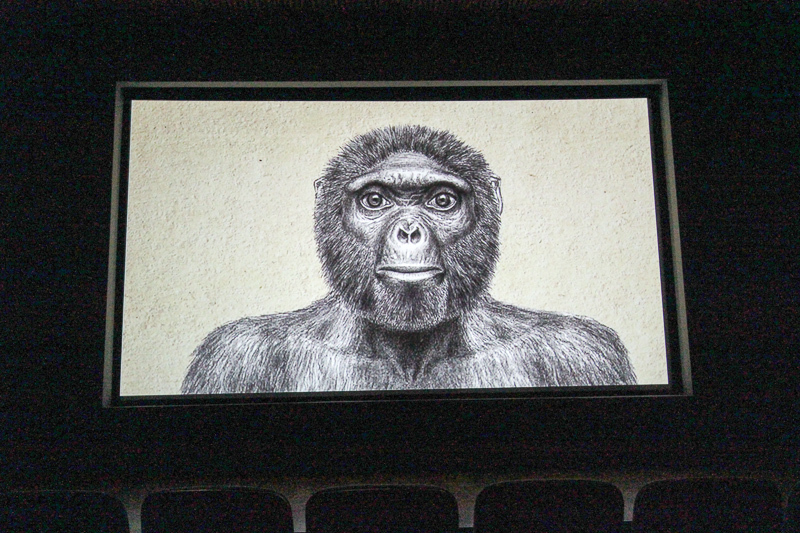 After lunch and seeing the Lucy exhibit it was time to see a film about Ardi. Ardi, the common name for ARA-VP-6/500, is the designation of the fossilized skeletal remains of an early human-like species (Ardipithecus ramidus) that is about 4.4 million years old. 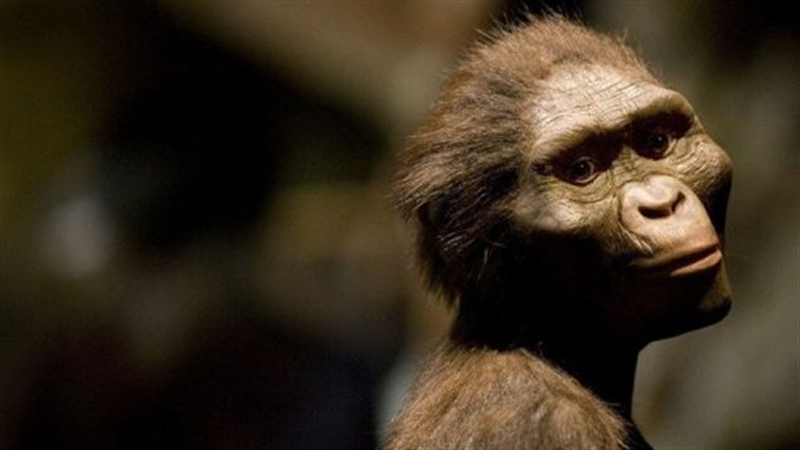 It is the most complete early hominid specimen, with most of the skull, teeth, pelvis, hands and feet intact, and is about 1.2 million years older than Lucy. Ardi was discovered in Ethiopia in 1994, but the assessment of the discovery was ongoing for a period of fifteen years before the formal announcement was made public in the October 2009 issue of Science. What is significant about Ardi, who like Lucy, was also female, is that she was bipedal and wasn't a "knuckle walker" which would be similar to chimpanzees. Also, and most interesting, was that she had an articulating (opposable) big toe, which was like our human thumb. The Ardipithecus Ramidus species used their big toe to facilitate climbing trees. Human beings are the only mammal that are bipedal, i.e., we can walk upright. Since this is a very inefficient type of locomotion, scientists think that our bipelism evolved since walking upright enabled us to carry food, whether the food was either meat, fruit, vegetables, seeds or grasses. The film was very worthwhile and our Valentine's Day was lovely.